The recently announced Nikon AF-S Nikkor 16-35mm f/4G ED VR lens looks set to be an important milestone for Nikon for at least two reasons. Firstly, it is the company’s first professional AF zoom with a constant f/4 maximum aperture, putting aside the £4500+ AF-S 200-400mm f/4G IF-ED VR. 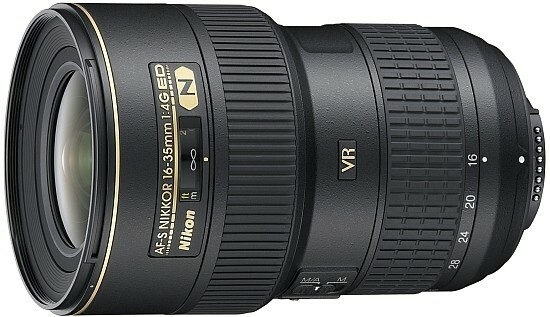 Secondly, this is the first pro-grade non-telephoto FX lens with Vibration Reduction. The fact that Nikon has come out with a pro f/4 zoom may bring hope to those users who have found the f/2.8 offerings too heavy or too pricey. At $1259.95/£1049.99/€1249.00, the new 16-35mm f/4G ED VR is certainly not cheap, but it’s still about 30% less expensive than the existing 17-35mm f/2.8D. It does not deliver so well on the size/weight front, as it is only lighter by some 50 grams, and actually longer than the f/2.8 lens. Still, the announcement may indicate that Nikon is thinking about coming out with f/4 versions of their 24-70mm and 70-200mm lenses. Those would almost certainly be smaller, lighter and again cheaper than their f/2.8 counterparts, and if wide-open performance is good they may do their job just as well, as long as one doesn’t need the shallower DOF the extra stop of aperture provides. The appearance of VR in a pro-grade wide zoom may also excite a number of photographers. So far, Nikon has reserved this feature for their telephoto lenses (at least as far as pro glass goes - they did include it in some consumer-grade optics such as the 24-120mm f3.5-5.6G and a few DX zooms). There are proponents of the theory that Vibration Reduction is really only needed with long lenses, but anyone who has ever used a wide lens on a camera with in-body stabilisation - such as the Sony A900, for instance - will likely agree that anti shake can come in handy regardless of the focal length you are shooting at. Given that Nikon isn’t likely to switch to in-body anti shake anytime soon - who’d buy all those existing VR lenses then? -, pressure has been mounting on the company to introduce professional-grade wide and normal zooms with Vibration Reduction. Whether the AF-S Nikkor 16-35mm f/4G ED VR will be followed by a 24-70mm or 28-70mm VR lens remains to be seen, but those who have been campaigning for VR in high-quality wide-angle Nikkors can chalk up a victory now.